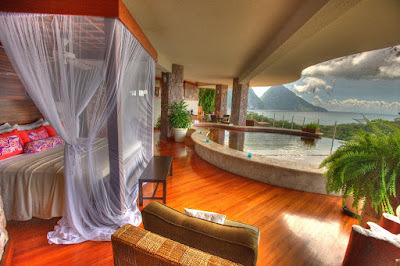 Jade Mountain, an exclusive "resort within a resort," is located at the Anse Chastanet Resort in beautiful St. Lucia. The exclusive resort offers 24 infinity pool sanctuaries, offering gorgeous views of the Pitoris and the Caribbean Sea. The sanctuaries, which have 15 foot high ceilings and their very own infinity pool, are all missing their 4th wall, which instead opens to views of the sea and mountains. 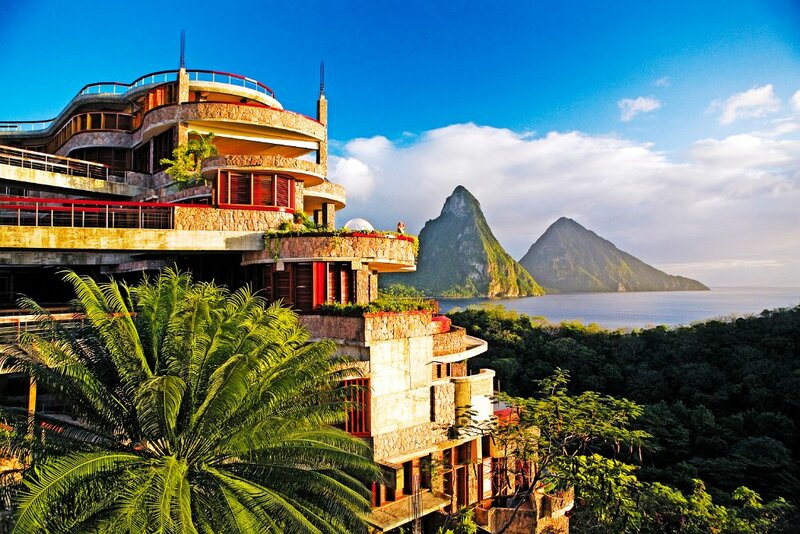 Jade Mountain offers resort and private dining, both of which offer exotic and exquisite food. Yoga, fitness classes and biking the trails are all available to guests, while they also have the option to receive spa services both at the boutique spa or in the privacy of their own sanctuary.